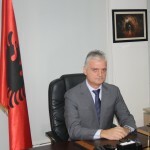 The recent Heating and Cooling Strategy from Commission indicated that emissions related to energy used for heating and cooling of buildings can be significantly reduced with technologies which use renewable energy sources and have high efficiency. 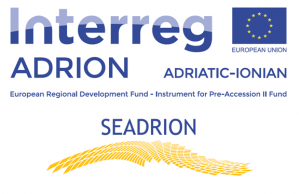 Taking this into consideration the SEADRION project aim to support the development of a regional innovation system for the Adriatic-Ionian area with the installation of 3 renewable energy facilities in the public buildings located in Greece and western and south part of Adriatic Croatia. These facilities are seawater heat pump, an innovation system that uses the thermal energy contained in a reservoir (sea) to achieve the cooling and thermal energy in the buildings which are close to the sea. The main objective of the SEADRION is to identify benefits and barriers associated with the use of this technology and to find a system solution designed to improve the use of the seawater heat pump technology and to make the building’s energy self-sufficient and independent of fossil fuels. The main outputs of the SEADRION project are transnational seawater heat pump network to support sustainable development in ADRION region, science and technology cooperation between research institutions and enterprises to enhance innovation capacity of the heat pump sector with the aim to enhance their innovation skills, capacities and competencies and common strategy to enhance the use of seawater heat pump based heating and cooling in ADRION region.